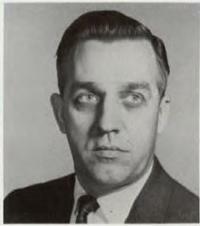 Robert R. Anderson was a member of AHS for 17 years, and had served on the executive board as vice president from the Western Region 1967-69. Leaving the US Navy after World War II, Anderson became a stress analyst with Douglas Aircraft. In 1947 he joined Hiller Aircraft Co. where he held many engineering positions including that of chief engineer. Following two years with Curtiss-Wright Corp. he joined Lockheed-California Co. as deputy engineering manager- AH-56-A Project. More recently, Anderson had been vice president-manufacturing and engineering with Olin Ski Co., Inc. of Middletown, Conn.